In case you’re wondering, those really are feathers. The Ring k2 floor lamp is very special. It has a slender and tall base made out of three thin stainless steel rods. The tripod base holds a large lampshade completely covered with long black (or brown) goose quill feathers attached to a brown fabric shade. Available in four different finishes, the Laurel floor lamp features a rather unusual alabaster base. It’s shaped like a rectangular block. The base, however, is not the focal point of the design. 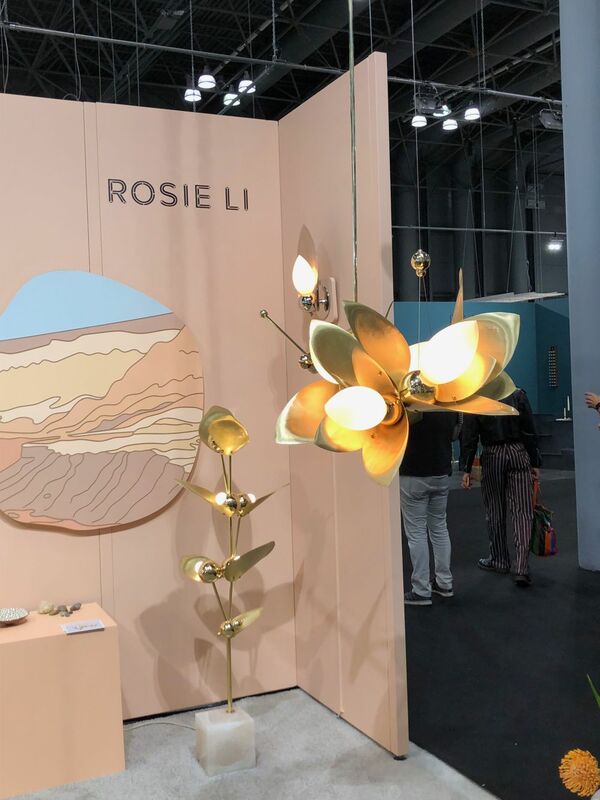 The star of the show is the brass body of the lamp which mimics a graceful plant with large leaves. 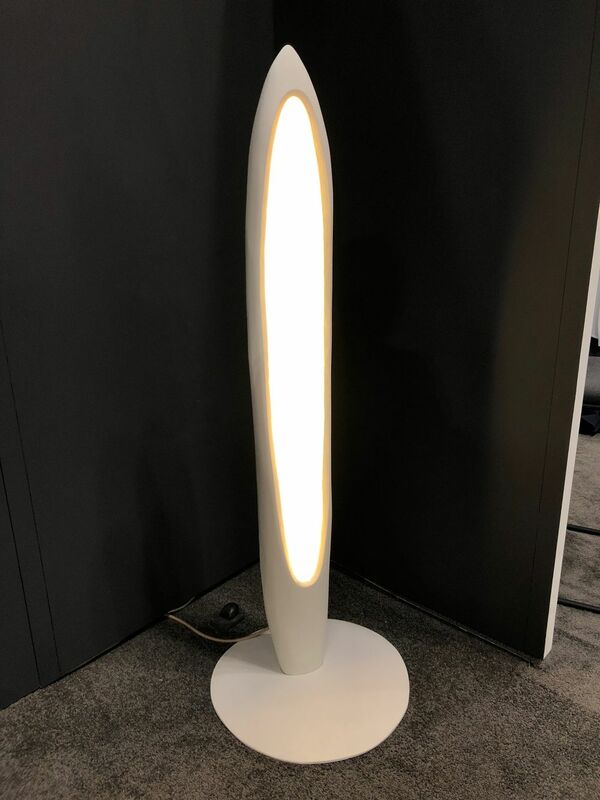 If you’re a fan of minimalist, futuristic-looking design you should check out the Oyyo Floor Lamp. It’s not just cool-looking but also smart. You can control it remotely or using a phone app and it has dimmable 3000k LEDs so it’s both powerful and energy-efficient. Lamps are great at making spaces look and feel warm and cozy so they themselves don’t actually have to share these characteristics. If they did they might look like this. 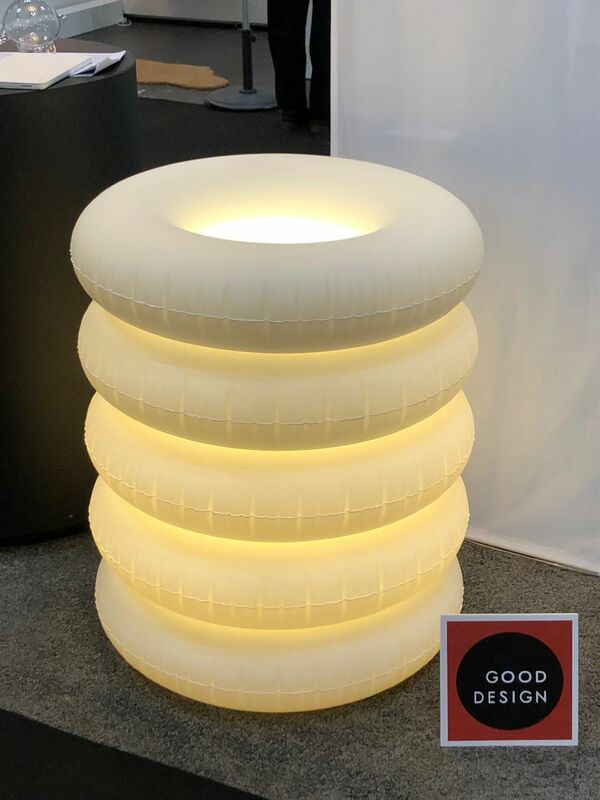 This is the Big Puff floor lamp, a lamp so soft and fluffy that you just want to cuddle up with it and take a nap. It’s pretty cool that this effect is created through a very simple and unsophisticated design. The lamp is made of thermoplastic polyurethane filled with air. 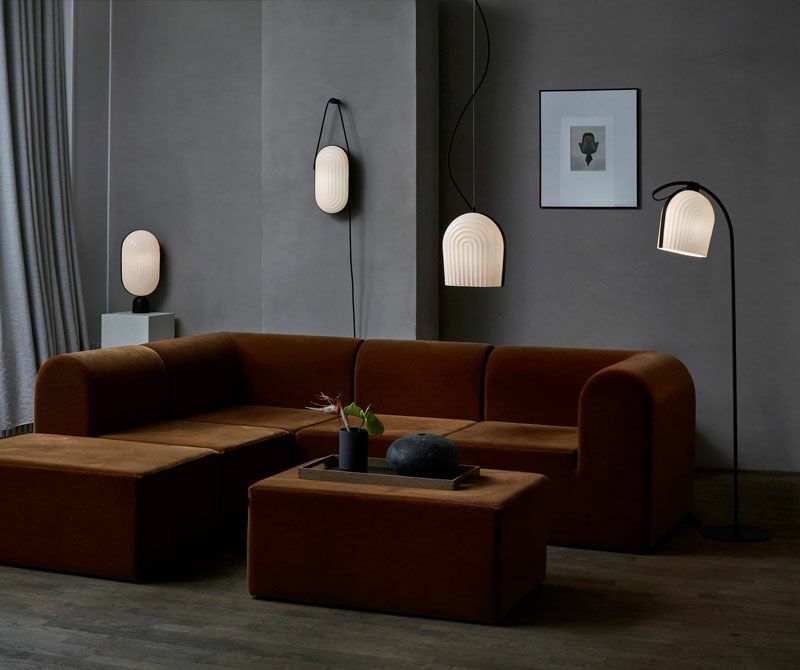 As cute and cuddly as big lamps are, sometimes you just need something slender and inconspicuous, a lamp which can focus the light exactly where you need it. Of course, there’s no reason that lamp can’t also look cool. In fact, the Jackie lamp displayed here is the answer to all your problems. It comes in six different colors so you can match it to your existing decor. 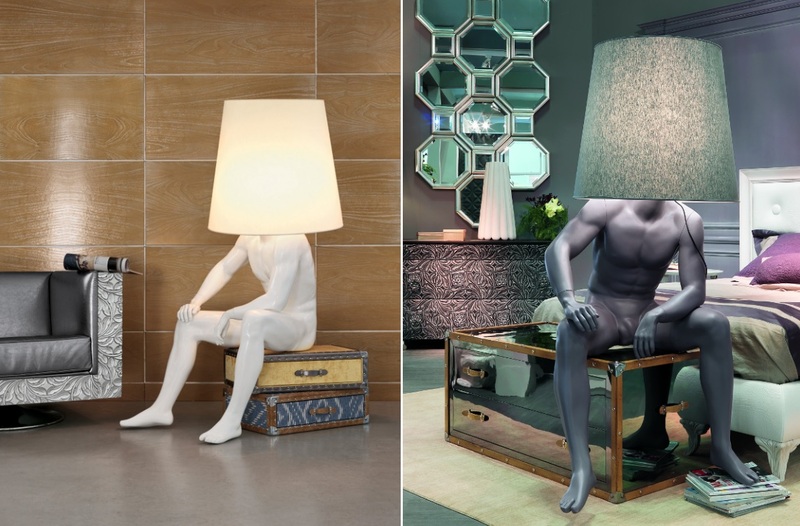 Ever wished you had a lamp that looked like a person? Probably not but here it is anyway. Meet George, a lamp and a sculpture with an anthropomorphic design. It comes in different postures and colors and it has a lot of character. This is probably the only floor lamp that requires a piece of furniture because it actually sits down, like a real person does. Alfred is a pretty cool lamp too. You can’t use it a completely independent, freestanding accessory because it has to be attached to a vertical surface (a wall). This doesn’t really diminish its charm or versatility. It only helps to make the lamp stand out. Also, the design compensates for this “inconvenience” by including a set of small shelves which are great for keeping books and other items on. 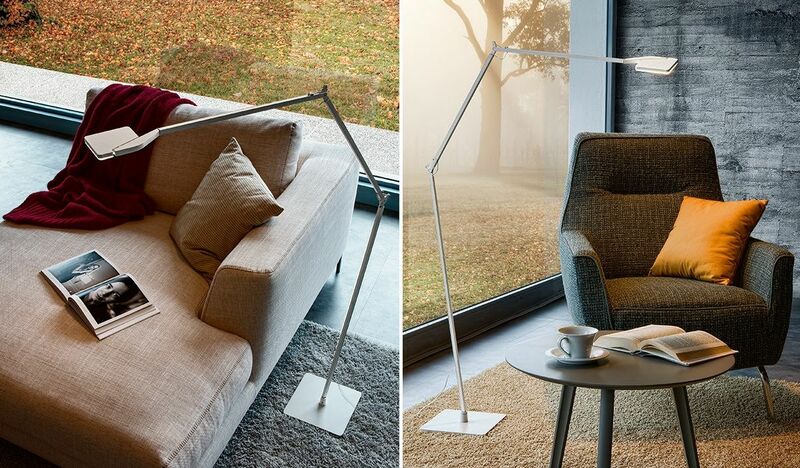 The Rolo floor lamp offers a very ingenious to a problem some of you may have encountered already: you’re sitting in your living room or in the bedroom and you’re reading a book or working which requires plenty of light while someone is wants to relax and would much rather prefer some soft, dim lighting. Thanks to the lamp\s petals which can be individually peeled everyone can be happy. How could an aluminum lamp look delicate and sophisticated? It’s quite easy actually. 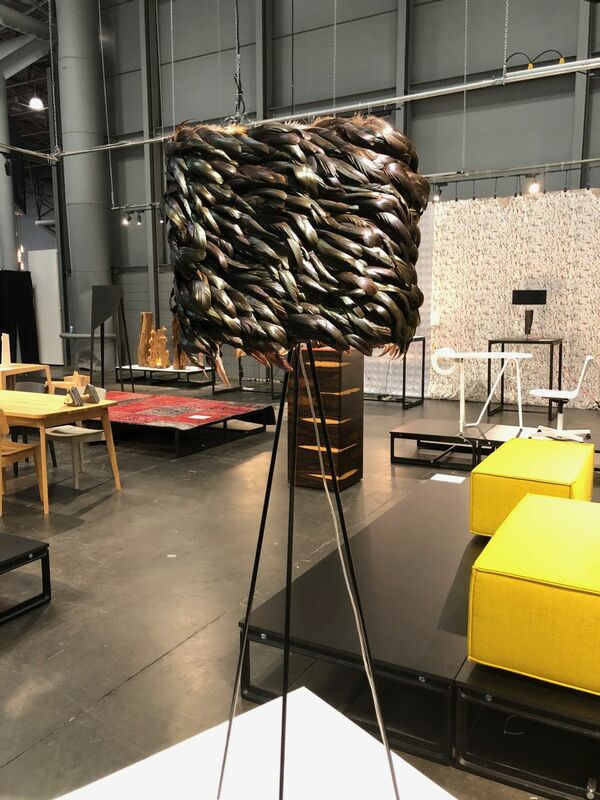 Aluminum is a very versatile and flexible material which means it can be shaped into all sorts of quirky things, including a very sleek and stylish lamp like the Mesh. 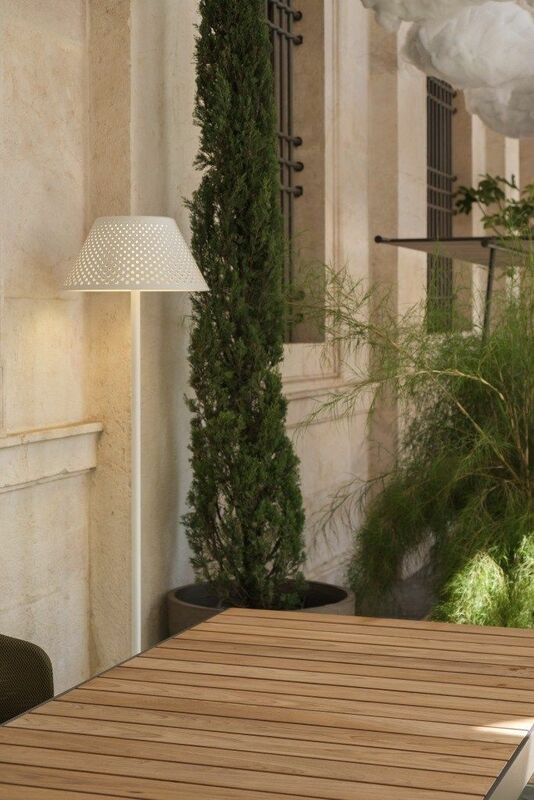 The design of the Mesh floor lamp is simple, contemporary and also expressive and this is a surprisingly rare combo. Another special design worthy of attention is that of the X Light Table. 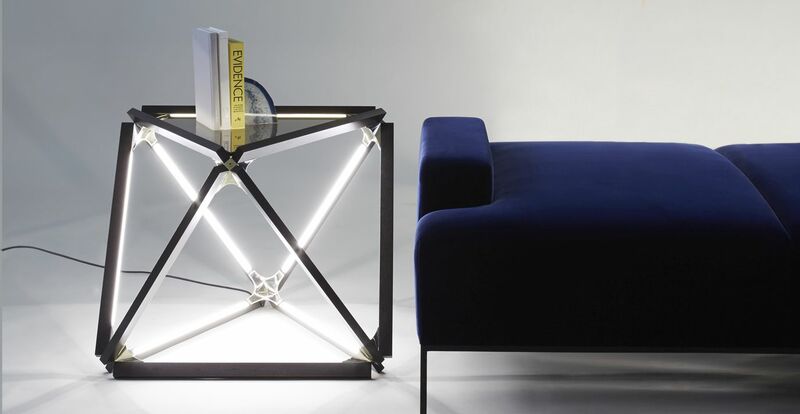 As the name suggests, this is both a table and a lamp. This combo offers many advantages, including the opportunity to save space or to enjoy soft, pleasant accent lighting without requiring a separate lamp. Next on our list of unusual floor lamps is the Bajau series. The inspiration for these lamps comes from the houses of the nomadic Bajau people from South-East Asia. 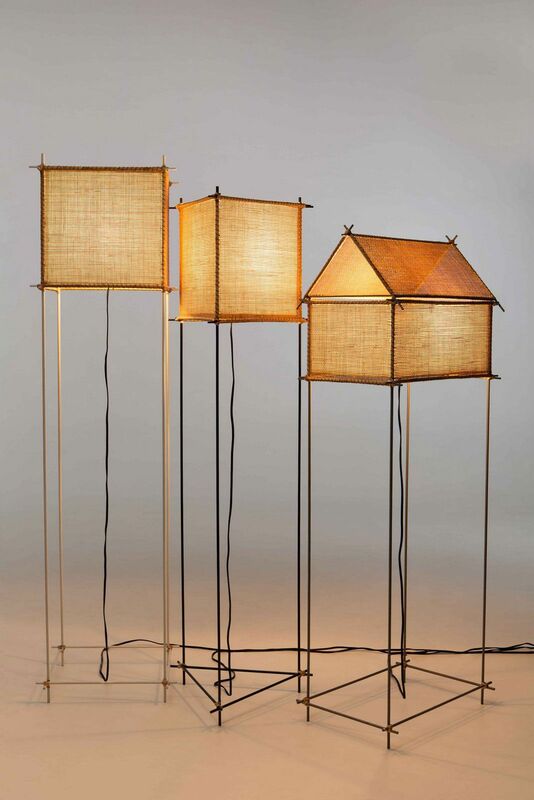 They look very delicate and a bit similar to paper lanterns, featuring frames made of thin sticks and lampshades made of handwoven rattan. The design is quite poetic actually. Right now multifunctional furniture and accessories are super popular and Louis fits the description perfectly. 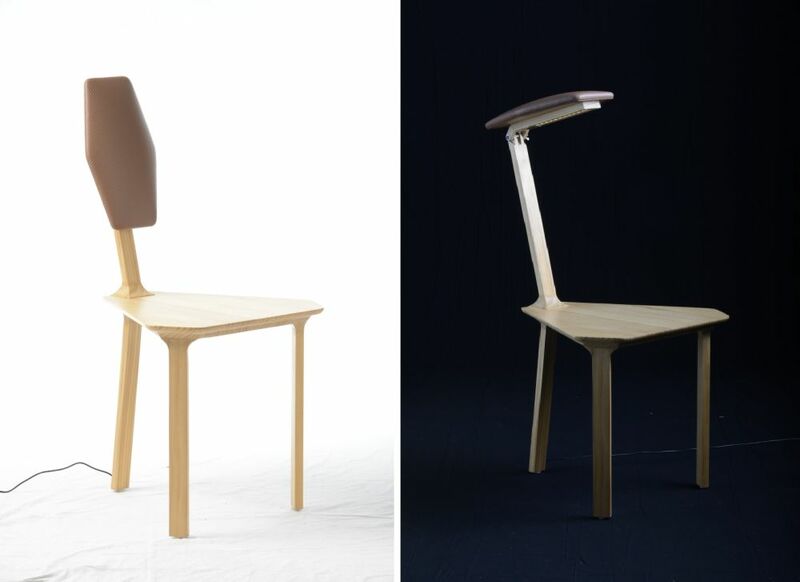 This is a table which can be transformed into a chair or which can be used as a lamp, depending on the user’s immediate needs. It’s quite the clever combo. Ideally it would be awesome to make use of all three functions at the same time but I guess you can’t have everything in life. Perhaps a future series will address this little detail. In order to fully appreciate the Portal lamp you have to actually use it. That’s because the design alone doesn’t really how beautifully the light is projected behind the lamp when you lean it against a wall. 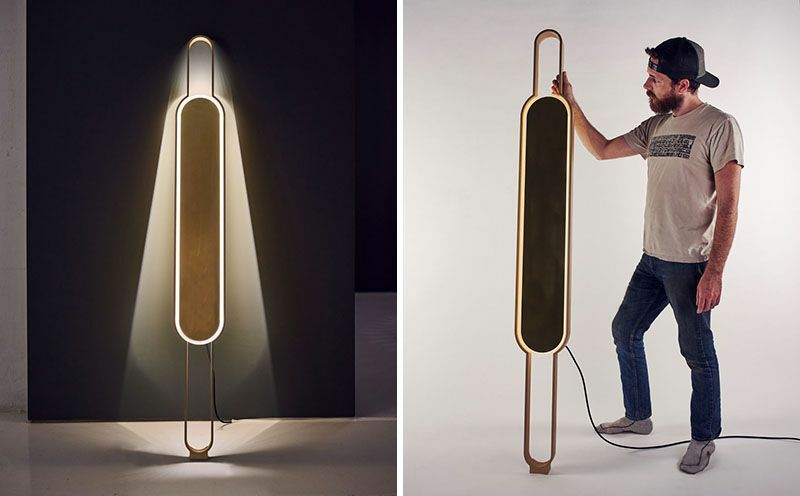 According to the designers, the Portal is neither a sconce nor a floor lamp but can act as both. that definitely sounds cool and is even cooler when you see it. 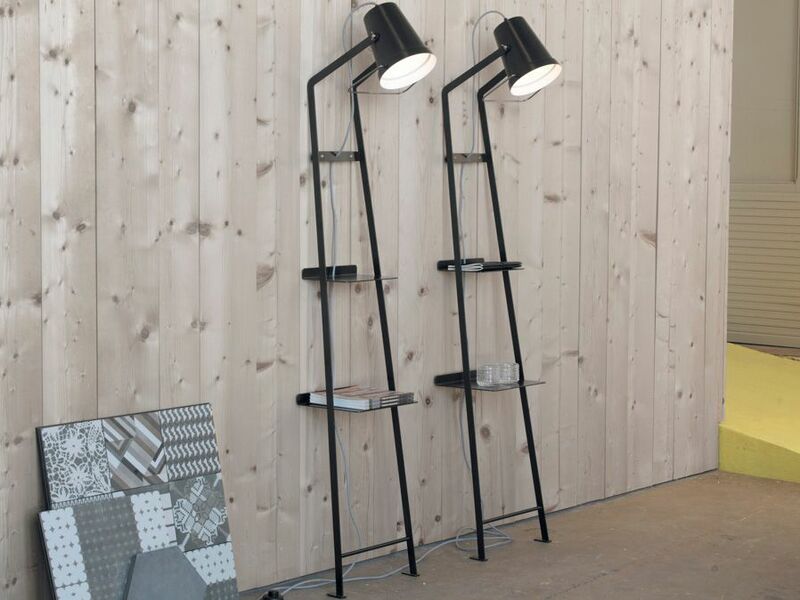 Apart from looking very stylish and beautiful, the ARC lamps also have an interesting story. The collection was designed by Nanna Neergaard and Marie Hesseldahl from Manér Studio and the designs are inspired by the architecture and interior of the The Grundtvig Church in Copenhagen. You don’t really need to know that in order to appreciate how majestic this lighting fixtures are but it’s definitely an interesting detail which gives them even more character. The post Unique Floor Lighting Fixtures With Outstanding Designs appeared first on Home Decorating Trends – Homedit.